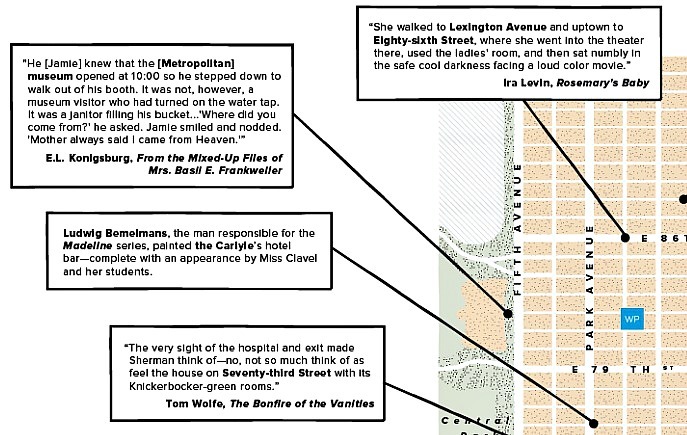 All but three of the 13 locations highlighted on the map are references to spots mentioned in classic literary works. 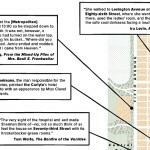 Those actually frequented by the authors include: 62nd Street and Lexington Avenue, an intersection written about by Joan Didion in her autobiographical essay Goodbye to All That; the Carlyle Hotel, where Madeline author Ludwig Bemelmans painted a mural; and the former home of Elaine’s restaurant, which was a popular hangout for writers and editors. 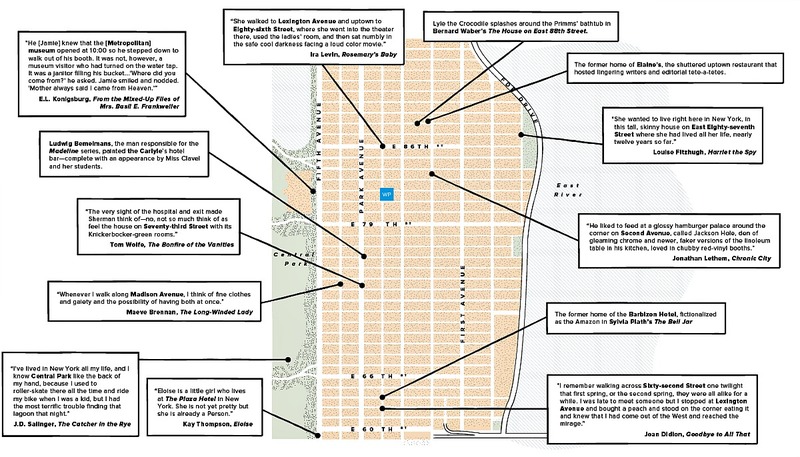 Explore the full map here. 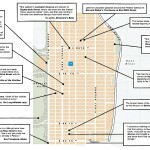 Know of any Upper East Side locales that could be added to the map? Tell us in the comments.